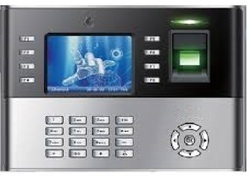 We are providing Access Control System to our clients. 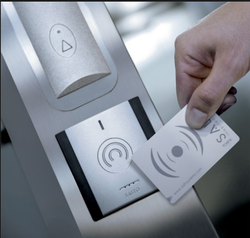 Elevator Access Control System with the facility of auto landing according to access card groups. Also having a facility to maintain the lift usage logs for report and analysis. Attractive polycarbonate enclosure protects components from damage and all connections and indicators are fully identified by silk-screened nomenclature on the cover. expansion capability to 250,000 cardholders. Reports supervised inputs/alarms with 255 priorities. Connects to the host and to other devices on the TCP/IP network. Reports all activity to the host. Controls and communicates with all connected devices. UL 294 and UL 1076 recognized components. Multi-Door Access Control System can simultaneously control monitor up to four doors thus reducing the per door cost. 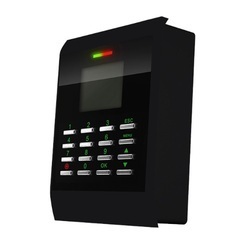 It can be connected with any kind of readers viz; Finger Print, Mifare, Proximity and supports either industry standard configurable Weigand or clock/data interfaces. It is imperative for areas like R D labs and server rooms. 4 Door / 8 Reader Controller Supports access control of up to 4 doors in all respect including 4 entry readers, 4 exit readers, 4 locks, 4 exit switches etc. Inbuilt RJ45 Network Interface Leveraging on the merits of IP based systems; it can easily be hooked up to the existing TCP/IP network. Thus the data can be transferred instantaneously in real time mode to a centralized server. Field Upgradable Firmware Facility to onsite upgrade the firmware over Ethernet interface so that any customization or new version can be easily upgraded without any need of removing the device. Protected Enclosure Both controller power supply unit is protected with the suitable housing so that electronic circuit boards are not exposed to cause any accidental damage. Anti Pass Back Door wise antipassback. Entry to the particular door is allowed only when the employee has exited through the same door. Door Interlocking Facility of door interlocking is available. The system allows creating a group of doors such that access to a door within the group is allowed only when all the other doors are in closed condition. Time & Attendance, Canteen management, Production management, Gym & Clubs. Major ApplicationsTime & Attendance, Canteen management, Production management, Gym & Clubs. 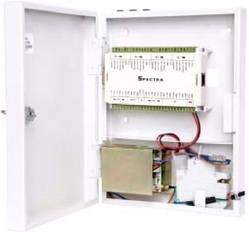 InstaID series ACT500 is a Two door access controller. It has a robust design and easy mechanism for effortless installation. 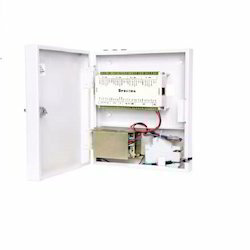 It can simultaneously control & monitor up to two doors thus reducing the per door cost. 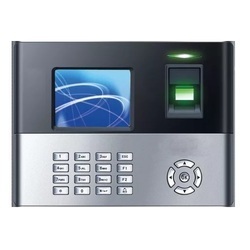 It can be connected with any kind of readers viz; Finger Print, Mifare, Proximity and supports either industry standard configurable weigand or clock/data interfaces. It is imperative for areas like R&D labs and server rooms. 2 Door / 4 Reader Controller Supports access control of up to 2 doors in all respect including 2 entry readers, 2 exit readers, 2 locks, 2 exit switches etc. Inbuilt RJ45 Network Interface Leveraging on the merits of IP based systems; it can easily be hooked up on the existing TCP/IP network. Thus the data can be transferred instantaneously in real time mode to a centralized server. Protected Enclosure Both controller & power supply unit are protected with suitable housing so that electronic circuit boards are not exposed to cause any accidental damage. Excellent Price Performance Ratio With a lower price to performance ratio ROI is automatically enhanced, the factor contributing to higher ROI is not only very competitive pricing but also higher accuracy rate offered by the product. One face template is registered for one user only. 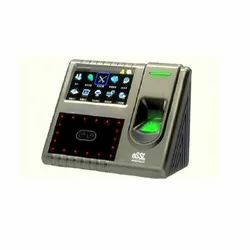 This machine can be used for taking a validation to any kindof machine/vehicle /engines where we require an authorizedperson should be able to use it. So only that person will be ableto start the machine or can use it. After you start the machineyou have to authenticate with your valid finger which is storedby administrator earlier, and then only you can be able tooperate the machine. After the authentication the machine willbe operational till the time the operator doesn't shut down themachine. Every time the machine is started has to beauthenticated and then only you will be able to operate it. Fork Lifts, Stackers, Leveling Docks, Hydra, Cranes,Heavy machinery, Dumpers, Excavators, Earth movers,Mining machines, etc. Input: Input 230VAC / 12VDC / 24VDC orany specific input. Circuit breaker: 63 Amp relay to cut the main supply. 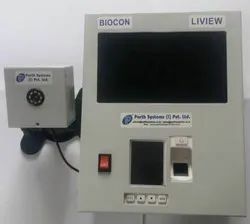 Biocon - This machine can be used for taking a validation tMoany kind of machine/vehicle/engines where we require anauthorized person should be able to use it. So only that personwill be able to start the machine or can use it. 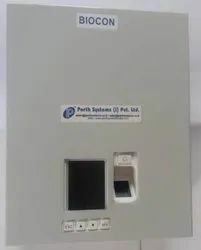 After you startthe machine you have to authenticate with your valid fingerwhich is stored by administrator earlier, and then only youcan be able to operate the machine. After the authenticationthe machine will be operational till the time the operatordoesn't shut down the machine. Every time the machine isstarted has to be authenticated and then only you will be ableto operate it. Liview - When the fork lift or stacker is operational &because of the material or height the operator can't see, thisproduct will help him see through camera & on the screen.This can be fitted on vehicles where viewing is a problem.Can be use for reversing with 2 cameras. Fork Lifts, Stackers, Leveling Docks, Hydra, Cranes, Heavy machinery, Dumpers, Excavators, Earth movers, mining machines, etc.movers, mining machines, etc. Input: Input 230VAC / 12VDC /24VDC or any specific input. Camera input: 1 Camera can be connected (Optional 2 Cameras).